Actively seeking the latest and most innovative sustainable foodservice products available, Bunzl Catering Supplies has swiftly followed the launch of the reusable rCUP with a second reusable cup option, called Eco to Go. 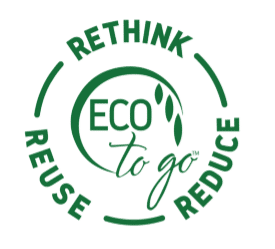 Made entirely from renewable resources, ECO to Go joins a larger range of both single-use and reusable cup options with Sustainable attributes at the fore. What’s unique about ECO to Go is that it is made from 80% rice husk (the brown outer shell that rice comes in) and 20% plant resin. Annually, the world’s rice production is approximately 500 million tonnes, which results in about 125 tonnes of rice husks being produced each year as an agricultural by-product. The ECO to Go cup sees part of this agricultural waste diverted from incineration to make a reusable product that be used over and over again. 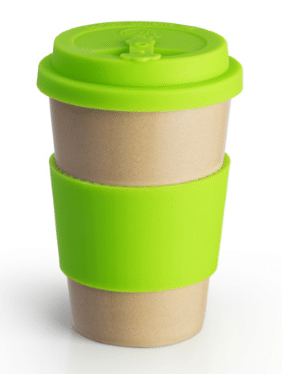 The ECO to Go cup has the look and feel of plastic, making it very robust and difficult to break. It has natural insulation properties and is completely dishwasher and microwave safe. For operators in the catering and hospitality industry looking to promote their brand, the ECO to Go cup can be custom printed with a logo or design. Many customers in the foodservice environment are looking at the option of reusable cups to complement or even replace their single-use provision, where it is practical to do so. Reusable cups are an environmentally responsible solution when a single-use product is not required, and Bunzl Catering Supplies has been actively sourcing and presenting several reusable cup options to its customers – the latest being the ECO to Go cup. 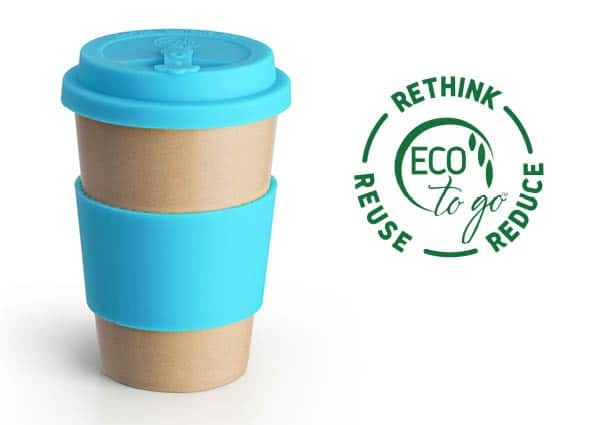 ECO to Go has been launched hot-on-the-heels of rCUP – the world’s first reusable cup made entirely from used paper cups. The rCUP was designed by ashortwalk, with partners Nextek, who developed a way to recycle whole used cups, blending their fibres to create a useful polymer. Using this polymer, rCUP became the world’s first cup to be recycled, reusable and 100% recyclable. Due to being predominately made from polypropylene, the rCUP can be placed in mixed recycling at its end of life and can be identified and segregated at a Material Recovery Facility. If you’d like to view our Sustainable Future product factsheet on cups – please click here.